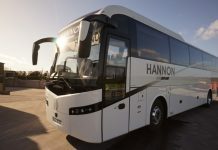 After the hugely successful Transport Manager series elsewhere in the UK, the FTA’s Transport Manager conference made a successful return to Northern Ireland recently. Held at the Culloden Estate & Spa in Belfast, the day-long event was packed with industry leading speakers and the very latest information, guidance and best practice advice surrounding legislation and enforcement changes. 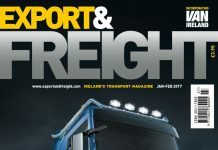 Key industry speakers and experts included the Director General of the British Irish Chamber of Commerce and the Driver and Vehicle Agencies Head of Enforcement and Director of Operations, on the latest and future issues affecting transport operations. Delegates heard from John McGrane, Director General of the British Irish Chamber of Commerce; his views of Brexit and the impact this could have on transport and the movement of goods across the country were enlightening. 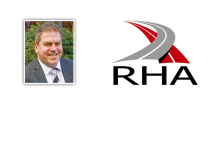 Next up was Jeremy Logan, Head of Roadside Enforcement, Driver and Vehicle Agency (DVA). He shared the DVA’s priorities when it comes to enforcement and targeting, including findings during roadside checks and plans for future enforcement, outlining new developments and targets. 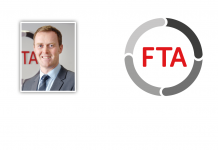 ‘Leading transport safety at work’ was the subject of another presentation, made by James Firth, the FTA’s Head of Licensing Policy and Compliance Information. With health and safety being a key priority for enforcement bodies, this session looked at the responsibility of both a company and the position of Transport Manager, with managers being informed on how to influence top-level management on this point. Inspector Rosie Leech, Police Service Northern Ireland (PSNI) then provided delegates with the Service’s latest findings on driver and vehicle safety, including insecure loads, mobile phones and new alcohol limits. Taking a look at ‘Industry accreditation and earned recognition’ was Christopher Snelling, Head of National and Regional Policy & Public Affairs. He explored accreditation and standards across the industry including earned recognition, an update on the changes to FORS and the development of FTA’s new Truck Excellence scheme. 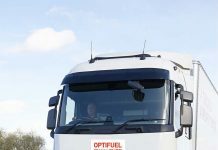 Martin Flach, Product Director at the event’s headline sponsor, Iveco, discussed enhancing vehicle performance and efficiency, focusing on alternative fuels, total cost of ownership, last mile logistics and emissions. How does your fleet compare to those across the country? That was the question later posed by Pat Delaney, Director of Operations, Driver and Vehicle Agency. He went on to inform delegates on the latest statistics and variations concerning annual test pass rates, the common reasons for failure and advice to Transport Managers in preparing for these tests. 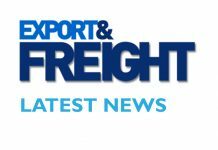 The conference also heard that there is still a lot of uncertainty surrounding Brexit and delegates had the opportunity to unearth these concerns and identify the implications to logistics operations during an informative presentation by the FTA’s James Firth who outlined how operators could plan for any changes. ‘Avoiding incidents on the highway’ was the subject of another presentation – by the FTA’s Rob Saunders, Manager of Engineering Information. He spoke about the five most common issues on the highways being fuel spills, tyres, brake problems, lost loads and ratchet straps. He discussed the knock-on effect of such subjects when they occur and what Transport Managers and drivers should be doing to avoid these incidents. The conference was rounded off by Seamus Leheny, the FTA’s Policy & Membership Manager for Northern Ireland, who presented an essential legislative round-up and technical update, highlighting the main topics on the horizon that transport managers need to be aware of in order to ensure the safety, compliance and efficiency of their business.